You have 1547 characters. Don’t forget to add important and relevant keywords in your description to improve your iTunes app page and optimize your SEO. Your app's last version was released on October 18, 2013. It is important to regularly update your app. Best practices recommend to update your app every 4 to 6 weeks. This means fixing reported bugs, improving existing features, launching new features etc. Keep an eye on users' feedback. The next great features may already be asked by many users. 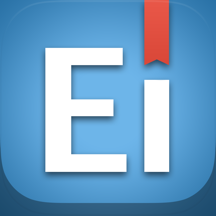 Designed for iOS 7 from the ground up, Expert Invoice is the ultimate invoice manager & creator for your iPhone. The bottom line is that no matter what the job, Expert Invoice will help you get it done faster. And it'll look great while doing it. Crafted with great care, in Canada.